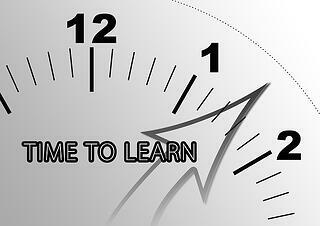 The SAT Writing and Language section is comprised of questions that test your knowledge of grammar and writing style. By learning the grammar rules that are tested on SAT Writing, you'll be preparing yourself to do exceptionally well on the Writing section, and you'll be one step closer to getting your target score. In this article, I'll explain the most important SAT grammar rules and provide related examples from the official practice tests. In this guide, I’ll provide explanations and examples for the grammar rules that are tested most often on the SAT. In addition to the grammar questions, there are also writing style questions that make up a significant portion of the SAT Writing and Language section. You need to prepare for those questions, too. The information in this guide will be extremely beneficial to you, especially if you’re trying to get a middle score, starting your SAT Writing studying, or you’re reviewing the most important SAT grammar rules. If your target score is above a 700 for Writing and Reading, you should also thoroughly study the rules that are only rarely tested on the SAT. Because this new version of SAT Writing is very similar to ACT English, I’m linking each rule to our corresponding ACT English article that provides more explanation of the rule, real test examples, and related rules that will help you do well on the SAT Writing section. Here are the 12 SAT grammar rules that you need to learn and understand before test day. 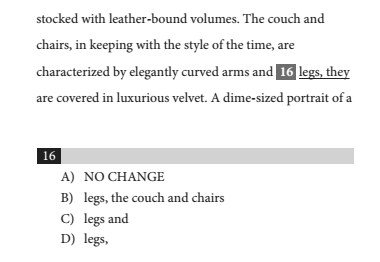 Word choice questions are common on the SAT. A word will be underlined, and based on the context, you have to select the best word to complete the sentence. These questions can be difficult because they require knowledge of vocabulary. There are two common types of word choice questions. Homophones are words that sound the same but have different meanings. Here are some examples of homophones that have appeared on the practice SATs: fare/fair, cite/sight/site, then/than, there/their/they're, and its/it’s. You should know what each of these words means and how it's used. The sentence is comparing the cafe to a fair. Based on the context, the word “fair,” which means an exhibition, usually with food and entertainment, is correct. There are multiple meanings of the word “fare,” but it often refers to the money you pay for transportation, as in “bus fare.” Clearly, the word “fare” doesn’t make sense in this context, so you can immediately eliminate answer choice C.
Next, we need to determine if we should use “then” or “than.” You use the word “than” to make comparisons and “then” to refer to time. Because the sentence is comparing the cafe to a fair, the correct answer is B. 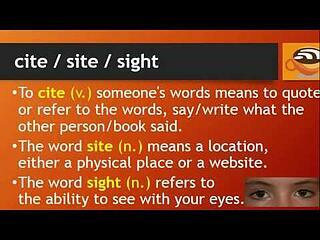 The second type of word choice error involves synonyms or related words. A word will be underlined and the answer choices will be related words. However, only one word will be correct given the context of the sentence. For these types of questions, I like to quickly go through each choice to see which one makes the most sense given the context. Based on the context of this sentence, we’re looking for a word that indicates that the officials gave permission for the cat paintings to be made. The word “forced” sounds too strong in this context, and generally, you don’t “license” a painting to be made. The word “decreed,” which means to order or command, also seems too harsh given the context. 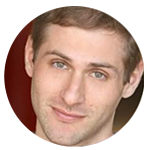 The word “commissioned” can mean hiring an artist to create a work. It’s the only word that’s typically used with artwork, and it’s the most appropriate word for this sentence. 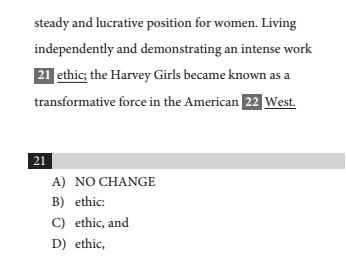 The correct answer is B.
It’s difficult to prepare for these questions because you don’t know the specific words that will appear on the SAT. However, I recommend using the word choice questions on the practice SATs to help you study. Also, try to identify the subtle differences in the meanings of the words in the answer choices to help select the best word to complete the sentence. Every year, Jane runs the Los Angeles Marathon annually. In this sentence, the word “annually” means that she runs the marathon every year. Because the sentence starts with “every year,” the word “annually” is unnecessary. It doesn’t add any new information to the sentence, and it should be eliminated. 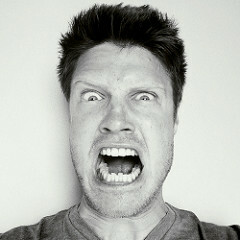 George is a person who is angry in nature. George is an angry person. The corrected sentence conveys the same information as the original but in a much more concise manner. Answer choices A, B, and C are redundant. The phrase “and other countries” already implies that there are other items on the list. The correct answer is D.
Incorrect: After getting suspended, Herbert decided to focus at improving his behavior. Correct: After getting suspended, Herbert decided to focus on improving his behavior. There is no rule to learn to help identify this error, but the correct expression is "focus on." The correct expression is “as a means of,” and the answer is B. 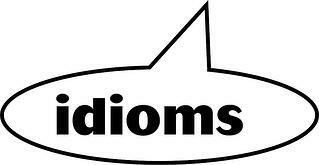 Study the idiom questions from the practice SATs, and review my article on SAT idioms to prepare yourself. Last week, Frank rented a car and drives to Las Vegas. Last week, Frank rented a car and drove to Las Vegas. Trenton lives in a rural area. He enjoyed the peace and quiet. Trenton lives in a rural area. He enjoys the peace and quiet. In this sentence, the verbs “is” and “serves” indicate that the underlined verb should be in the present tense. Answer choices B and D are not present tense verbs. Answer choice A is wrong because the “it” is redundant. The correct answer is C.
The SAT tests a number of comma rules, and these are two that you need to know. Relative clauses are dependent clauses that describe a noun and start with a relative pronoun or adverb like “who,” “that,” “which,” or “where.” The basic rule is that restrictive clauses shouldn’t be surrounded by commas and non-restrictive clauses should be. Students who read regularly are prepared for the SAT. If you remove the clause “who read regularly,” the meaning of the sentence would be substantially changed. You’d be left with “Students are prepared for the SAT.” Because you can’t remove the clause without changing the meaning of the sentence, this clause shouldn’t be surrounded by commas. A non-restrictive clause isn't essential to the meaning of the sentence. If you got rid of the clause, you'd have less information, but the overall meaning of the sentence would remain the same. Here's an example sentence with the non-restrictive clause underlined. Joe’s parents, who constantly call him, are very overprotective. Joe’s parents are very overprotective. Val, a Wisconsin native, loves fried cheese curds. Val loves fried cheese curds. 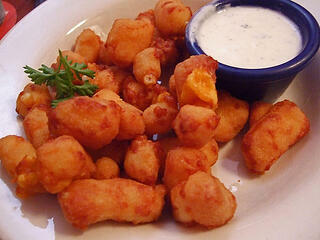 Fried cheese curds are rather delicious. 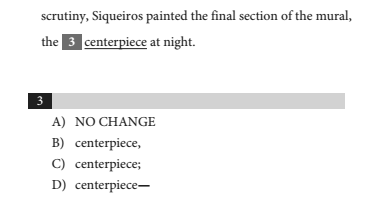 In this sentence, “the centerpiece” is an appositive that adds more information about the mural. Because appositives must be surrounded by commas, there should be a comma after “centerpiece.” Immediately, we know that A and C are wrong. In answer choice D, the dash can be used like a comma, but you can’t separate a clause with a comma and a dash. 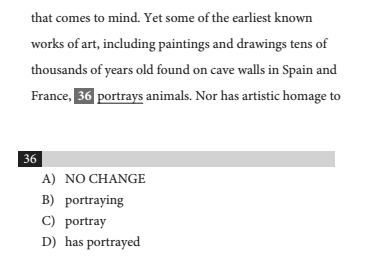 There would have to be a dash after “mural” for answer choice D to be right. The correct answer is B.
Ken likes Selena Gomez, she is his favorite singer. Ken likes Selena Gomez, and she is his favorite singer. Ken likes Selena Gomez, who is his favorite singer. Ken likes Selena Gomez; she is his favorite singer. This is an example of a comma splice. The sentence up until “legs” is a complete thought that could stand alone as a sentence, and the rest of the sentence starting with “they” is also a complete thought. Both A and B are comma splices. 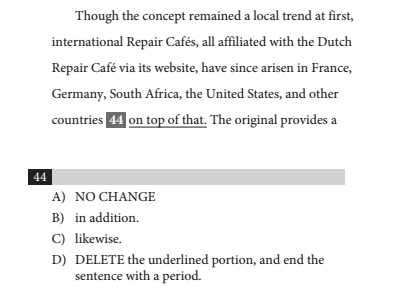 Answer choice D is wrong because a conjunction is needed to connect “are characterized” and “are covered.” The correct answer is C.
Incorrect: Because Teresa wanted to please her family; she became a doctor. Correct: Teresa wanted to please her family; she became a doctor. The second sentence is correct because the clauses on both sides of the semicolon are independent and could stand alone as sentences. The clause before the semicolon is not a complete thought; therefore, the semicolon is being used incorrectly. 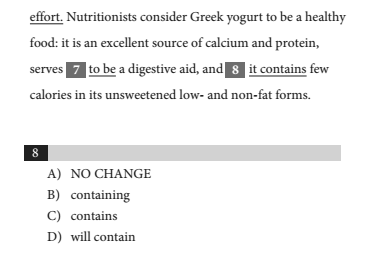 Answer choice C unnecessarily adds “and,” and answer choice B is wrong because it places a colon after a dependent clause. The correct answer is D.
Colons are usually used to introduce lists or explanations. The key rule for colons is that they must come after a complete sentence. If you end the sentence where the colon is placed, the sentence should make sense and be a complete thought. Incorrect: Meena enjoys multiple genres of music like: alternative, rap, heavy metal, and country. 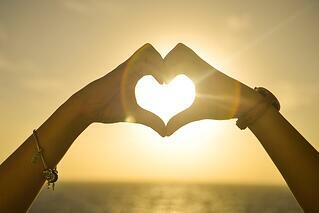 Correct: Meena enjoys multiple genres of music: alternative, rap, heavy metal, and country. The first sentence is incorrect because the part of the sentence that comes before the colon isn’t a complete thought. Because the clause before the colon is a complete thought and it's setting up a list, the colon is being used correctly. The types of people listed after the colon are the narrator's colleagues. 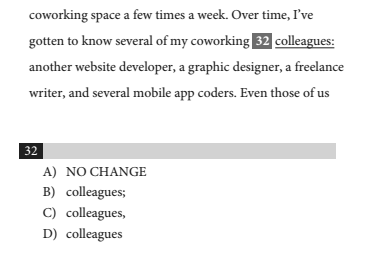 Because "colleagues" isn't part of the list, you can't substitute the colon for a comma. Also, you can't use a semicolon in place of the colon because there isn't a complete thought after the punctuation. The correct answer is A.
Colons do more than just form an essential part of the happy face emoji. I shall be paying a visit to the men’s restroom. My computer’s monitor is rather dirty. Juan thinks his parents’ rules are too strict. Also, only use apostrophes for possessives or contractions. Contractions are formed when you combine two words. Examples include it’s (it is), don’t (do not), and isn’t (is not). Don’t use apostrophes to create plural nouns. Because the body is is being discussed in general terms, we should use the singular possessive in this sentence; the sentence is referring to the biological clocks of the body. We can immediately get rid of A because “bodies” is a plural noun; it’s not in the possessive form. Also, answer choice B is wrong because bodies’ is the plural possessive form. Additionally, there shouldn’t be an apostrophe after the “s” in “clocks.” Don’t use apostrophes to form plural nouns; only use apostrophes for possessives and contractions. 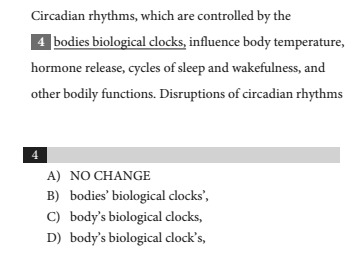 Similarly, answer choice D is wrong because of the apostrophe before the “s” in clocks; the correct answer is C.
Incorrect: High school students loves learning grammar rules. Correct: High school students love learning grammar rules. If the verb is in the present tense and the subject is in the third person (he/she/it/they), the verb usually ends in “s” in the singular form and doesn’t in the plural form. In the example sentence, the subject is “students,” which is plural; therefore the verb should be in the plural form. Incorrect: The members of the committee meets every Tuesday. Correct: The members of the committee meet every Tuesday. The subject of the sentence is “members,” which is plural. Therefore, the verb should be in the plural form. The prepositional phrase “of the committee” separates the subject from the verb. If a verb is underlined on the SAT, make sure that you identify the subject that corresponds with that verb to ensure that the subject and verb agree. Also, keep in mind that a subject can never be part of a prepositional phrase. To determine if there’s a subject verb agreement error, we have to identify the subject that corresponds with the verb “portrays.” What portrays animals? The works of art do. The phrase in between the commas separates the subject from the verb. The subject is plural because “works” is plural and “of art” is a prepositional phrase. The plural form of “portrays” is “portray,” and the correct answer is C. Answer choices B and D are not plural verbs; “portraying” is a gerund that would create a fragment, and “has portrayed” is the singular form of the present perfect tense. 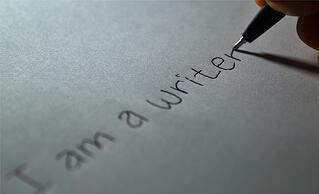 A determined writer, Jessica’s goal is to get her first novel published this year. A determined writer, Jessica has a goal of getting her first novel published this year. Because Jessica is a determined writer, her goal is to get her first novel published this year. This sentence makes it seem like the visitor was dotted with pin-sized knobs. Logically, the sentence should indicate that the drawers were dotted with pin-sized knobs. 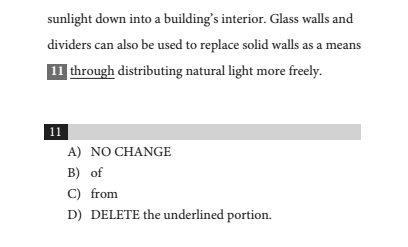 Similarly, answer choices B and C are misplaced modifiers that infer that the there was a visitor dotted with knobs. The correct answer is D.
It’s easy to make a careless mistake on this question because you may see the singular pronoun “it” and assumed the underlined pronoun should be singular as well. However, the pronouns have different antecedents. The word “it” refers to 1-MCP, which is singular, and “their” refers to apples, which is plural. The possessive pronoun agrees with the antecedent, and there’s no error. Answer choice A is correct. Answer choice C is a singular possessive pronoun, D is the contraction of “it is,” and B is a homophone of the correct answer, but it’s the wrong word. In addition to the grammar questions on SAT Writing, you need to know how to correctly answer style questions. Learn about add and delete, transitions, and macro logic. Also, because ACT English and SAT Writing are very similar, make sure to read this article about whether to take the ACT or the SAT. Finally, as you're preparing for the SAT, learn the pros and cons of different test prep methods.